(Long Beach, California) – The finest of the five known 1913 Liberty Head nickels, the Eliasberg/Lee specimen certified PCGS Proof 66, has been sold for $4,150,000. It is the highest price ever paid for one of the legendary coins and the second highest price ever reported for any rare coin. The famous coin was sold by Ed Lee, President of Lee Certified Coins, Ltd. of Merrimack, New Hampshire, to Legend Numismatics of Lincroft, New Jersey. The transaction was brokered by John Albanese, President of John Albanese Numismatics of Far Hills, New Jersey. Announcement of the sale was made June 2 at the Long Beach Coin, Stamp & Collectibles Expo where the coin was a featured exhibit at the Professional Coin Grading Service booth. “We believe in the rare coin market, and we’re in love with classic rarities. This is the most famous U.S. rarity,” said Laura Sperber, Co-President of Legend. The two other principals of the firm are George Huang and Bruce Morelan. “Owning a 1913 Liberty Head nickel is unlike owning any other coin in the world. Frankly, we were sorry we sold the Olsen/Hawaii Five-O specimen last year. We still miss it,” said Sperber. That coin was purchased by an unidentified buyer for $3 million in May 2004 in a transaction also brokered by Albanese. Lee purchased his celebrated coin from California collector and sports agent, Dwight Manley, in July 2003, for nearly $3 million. Seven years earlier, it was the first rare coin to break the million dollar mark at a public auction when it sold for $1,485,000 as part of the Louis E. Eliasberg Sr. collection in 1996. According to David Hall, PCGS Founder and President, the known previous owners of the coin are: Former United States Mint employee, Samuel W. Brown, who first revealed existence of the coins in 1920. Dealers August Wagner, Stephen K. Nagy and Wayte Raymond; legendary collector Col. E.H.R. Green; St. Louis numismatists Burdette G. Johnson and Eric P. Newman owned the coins from the early 1920s to early 1940s. Newman was the last person to own all five coins, breaking up the group in the early 1940’s. This specimen was sold to Abe Kosoff and Abner Krieisberg of the Numismatic Gallery in New York City and subsequently to fabled Baltimore banker, Louis E. Eliasberg, the only collector to ever assemble a complete collection of U.S. coins. It was purchased in a 1996 auction by dealer Jay Parrino of Kansas City, Missouri who sold the coin at an auction in March 2001 when it was purchased by Dwight Manley of Newport Beach, California. 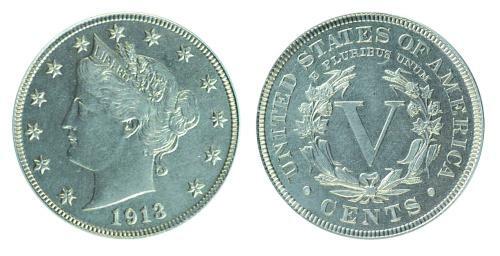 Manley sold it to Lee in a private treaty transaction in July 2003, and Lee subsequently sold it to Legend Numismatics in May 2005.